Much contemporary analytic thinking focuses on how to allow patients to voice threatening aspects of self and body, often not encoded in words. For those suffering from eating disorders, disavowed longings are experienced as insatiable, powerful, and dangerous, with an excess of energy and self invested in vigilantly measuring ways of living which lack spontaneity, creativity, or play. Symptoms concretize and defend against the danger inherent in any intimate exchange, which requires tolerance for uncertainty and vulnerability, beyond these patient's reach. Using clinical material, a detailed, practical exploration of how one works analytically with ED patients beyond symptom alleviation will be explored. Understanding cultural influence, neurobiology, attachment theory, self-regulation, affect regulation, self-states, body-states, and the intergenerational transmission of body image issues will be considered. 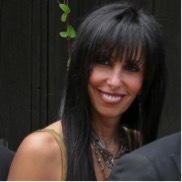 Jean Petrucelli, Ph.D. is a Supervising Analyst, Faculty, Director & Co-Founder of the Eating Disorders, Compulsions and Addictions Service and Educational Program(EDCAS); at The William Alanson White Institute; Faculty at NYU Postdoctoral Program and the Institute for Contemporary Psychology (ICP); Associate editor for Contemporary Psychoanalysis; Editor of five books: including winner of the American Board and Academy of Psychoanalysis (ABAPsa) 2016 Edited Book, Body-States: Interpersonal and Relational Perspectives on the Treatment of Eating Disorders (Routledge,2015). NIPPA Focus Seminars do not offer CE hours.